General speaking, when we talk about cow hide leather, we means the cow skin taken from cattle or buffalo bodies. The leather is cut from the cow, and then through a series of aquatic skin from wet to dry. Then we make from the dried skin of embryonic various styles of products involved in leather industry. 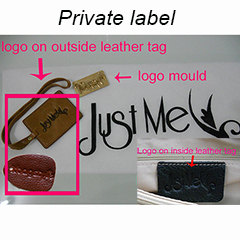 Recent years, cow hide leather is widely used in various industries. 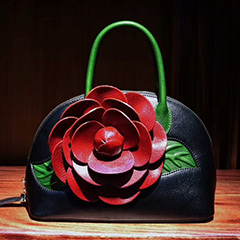 There are also many other industries in the use of leather products, including crocodile pattern, ostrich pattern, serpentine, pearls, and other characteristics with Fish Process. Sheep skin is characterized by grain oblate pores, deeply steeper in leather, pores clear, a few lined up a group, very like the scale or jagged array. Pattern features, such as "ripple"-like. Sheepskin light, thin, soft, is ideal for leather clothing fabric, garments made of beautiful patterns, soft gloss natural, soft, thin, flexible, just not as strong as cowhide and pigskin. Sheep skin: more fat content in the cortex, the skin loose fibrous tissue is very soft, smooth and fine grain, large extension, but not strong. Crocodile are a smaller and less expensive alternative to their larger cousins in nature (the crocodile and alligator. Semi-glazed caiman belly hides have a smooth texture and a unique shiny finish unmatched by matte quality skins). 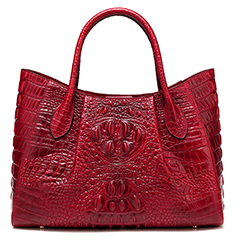 Crocodile is widely used in leather handbags, purses, wallets and belts. The belly hide has the soft, smoother underside of the caiman in the center of that material while the thicker ridges stretch across the outer rims. Natural Python skin: Hand painted python hides offer limitless options on painted colored accents across the finished hide. Hand painting creates a wild exotic look while still retaining a lot of the natural snake patterns that make python skin so fascinating and recognizable. 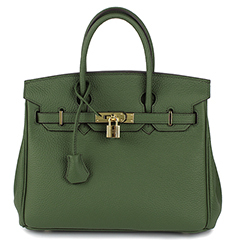 Python leather is strong and comfortable for garments, purses and leather handbags. equally attractive in upholstery applications like car interiors, sofa, trims. No two snake patterns are exactly the same and hand painted mosaic python always adds a new unique element in style and fashion. Leather in python effect also always hot in leather handbags and purses collection. Horsehide was formerly a utility leather, but it is now far too costly. Their hides have become very hard to source, and most tanneries will no longer handle them. Horsehide generally is finer grained than cowhide and takes on a little more pleasing luster with use. However, horse can be stiffer and take longer to break in than cow, and some find it less durable. Ostrich Skin: Ostrich leather is smooth, flexible, and naturally oily – as the skin absorbs more oil, the hide becomes softer and more brilliant. Ostrich hides have a smooth surface and in the center, approximately half of its surface is covered with the signature quill pock marks that ostrich leather is known for. Lizard Skin: Lizard hides have a smooth stippled texture and a shiny finish. Strong and unique, yet its smaller size often requires larger quantities for production. 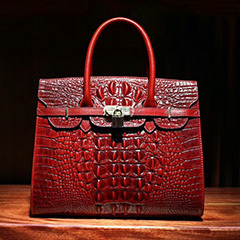 So it is really an expensive and rare skin for leather handbags and purses production. Zebra skin are rated Grade and are shipped from South Africa to the United States where a fine felt backing is applied. The felt backing is particularly useful and recommended if you intend for the zebra hide to be laid out as a rug. The felt adds extra support and weight to keep it laying flat on the floor. Zebra hide is hand selected and professionally backed with fine, high quality felt. Now most of the leather handbags and purses are made of the cow leather in zebra effect. Leopard skin is a valuable fur skin with many types. Many leopard skins are in yellow or apricot, back and side of the body is not completely black circle. The leopard skin mixed with dark brown spots. Mainly grow in southern China; the pattern of the leopard skin is clear, in bright color, Most of the leopard skin is wildly used to produce clothing, shoes, leather handbags and accessories. So, leopard is in Large-scale killing. Now, Government began to protect the wild leopard. All the leopard clothing, shoes and leather handbags are made of real cow leather in leopard print now.